Quality Home Systems recently introduced the Diamond Electric Accessory Kit under our Preference Line. 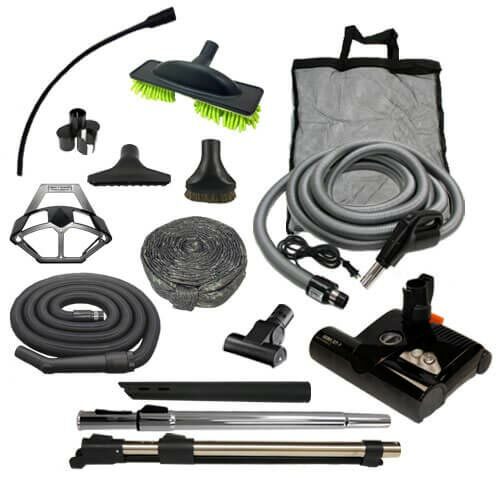 This kit provides you with everything you need to clean your home with both smooth floors and carpet/rugs. This kit includes a 12”ET-1 or 15”ET-2 SEBO powerhead with a 4-position height adjustment. The roller brush which can be manually switched off to accommodate delicate rugs. A warning light which indicates if the brush height is set correctly and if the roller brush needs to be replaced will illuminate during use. The SEBO adjustable electric wand is included. The Diamond Electric Accessory kit also gives you the choice of a 30 foot or 35-foot hose with either pigtail or direct connect ends. Included are a smooth floor brush, dust mop tool, hand-held turbo brush which makes vacuuming stairs and car interiors a breeze and a zippered hose sock to protect your walls and furniture from damage. Each kit also includes storage for your accessories. The tool caddy that attaches to the wand holds the dust brush, crevice tool and upholstery brush. A tool bag and hose hanger which can be mounted in a closest or storage area for convenience are also included.